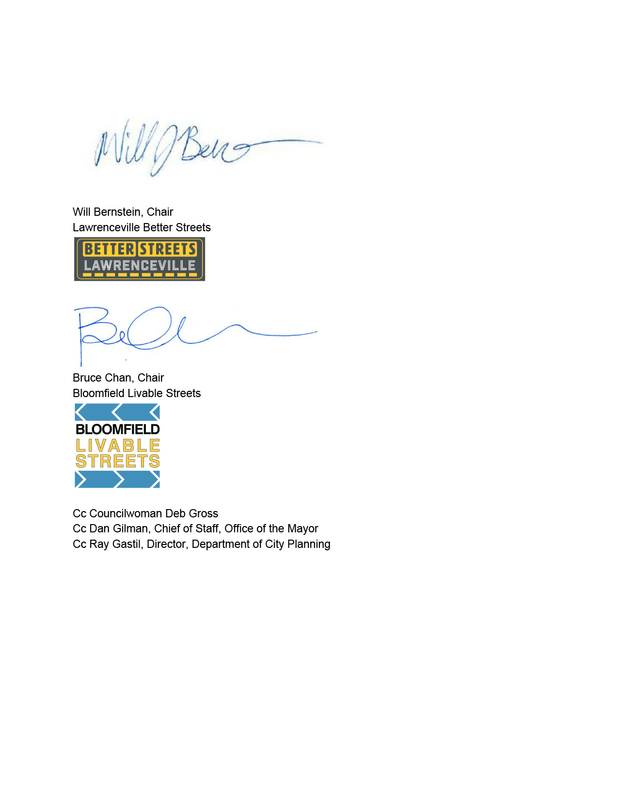 In August, Bloomfield Livable Streets and our neighbors at Bloomfield Development Corporation wrote a joint letter to Karina Ricks, the director of the city’s Department of Mobility & Infrastructure, regarding residents on Edmond St. (between Penn Ave. & Friendship Ave) and their concern of the prevalence of speeding drivers on this narrow, residential street. Below is a short recap; check out the full letter of our requests HERE. Furthermore, residents have observed that Edmond often serves as a cut-through between Friendship and Penn Avenues, which leads to cars speeding at all hours of the day, particularly rush hour. Given the history of unsafe driving on Edmond, we think that this recent incident underscores the need for an intervention to improve the safety of residents and other pedestrians. 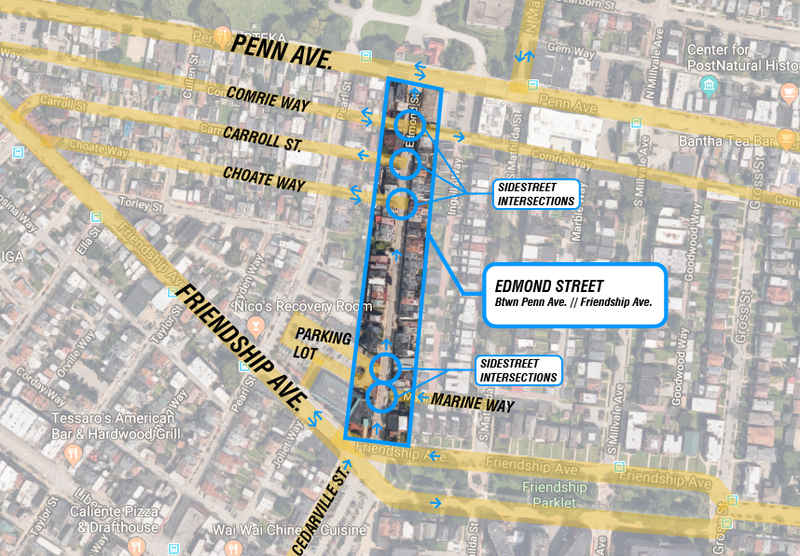 One solution would be to introduce a traffic calming intervention to slow drivers down on Edmond St.
Below are some examples that residents have suggested as possible, and feasible, traffic calming interventions. Residents have identified Speed Tables as their most desirable, with the need to preserve on-street parking spaces. We are aware that the city does not currently use some or all of these interventions in their infrastructure repertoire and tool box. Therefore, with the voice and help of local residents, we’d like to suggest and offer Edmond St. as a pilot project for the implementation of speed tables in residential applications.